If part of your business in real estate includes selling, whether wholesale, retail, or something in between, spring is an exciting time of year. 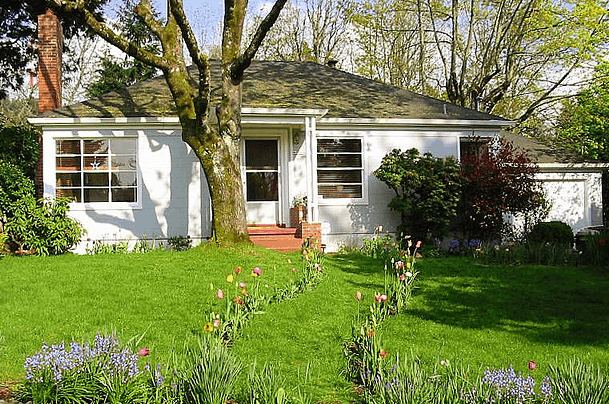 Just as flowers start to blossom and bees do their duty to pollinate tantalizing flora, so are buyers budding from their winter hibernation and Realtors busily buzzing to show and sell houses too. No matter if you have 1 house or 10 to sell the next few months, there are ways to maximize your exposure so your efforts can blossom too. If you’re retailing houses, I’m assuming you have a top-notch Listing Agent on your team that loves working for a professional investor. Why not take advantage of the fact that you will be getting more traffic to your sales, and host an open house? The success largely depends on the amount of marketing you put into it, which should cover no less than your local MLS, Craigslist, your social media pages, their social media pages, perhaps local news outlets, bandit signs, flyers to the neighborhood and needs to be started 10-14 days in advance of your event. Adding prizes, giveaways, and even themed parties can help bring in prospects. For instance, if you’re planning on having an open house Superbowl weekend, you could have a Super Saturday House Party. Make the theme around the Superbowl, and give away a gift card to a local sports pub near the home. (Plus, not generalizing, but many women could give a care about the game. Perhaps do a giveaway for a $25 certificate at a local nail salon. You may attract more women that way, and women tend to be the major decision maker with housing. Plus, I don’t care who you are, a pedicure is always a treat!) Point being, make it fun, make it an event, an give any visitors a reason to stay in touch with you. The goal is *not* necessarily to sell a house to someone that walks through the house that weekend, it’s to gather names, emails, and numbers to stay in touch with for future listings, referrals, and leads. With that being said, who ever is hosting the event should be sure to gather the information from visitors. You’ll want to set up the house as a “soft store”, with plastic display stands throughout showcasing other homes available, the fact that your company buys houses, and other parts of your business. Anyone that walks in the house should be greeted, talked to, and asked to fill out your customer information sheet. If they don’t want to give up any info? Have an Ipad (or other touch screen portable tablet available) that your host can take their information on if they don’t want to fill it out. Or, bring up Facebook and ask them to log in and like your page before they leave. Even if you’re wholesaling a house, no matter. Ask the new owner if you can throw an open house over the weekend and advertise to Investors. Use the house as a “soft store” and show that you buy and sell houses too. They’ll be less about the frills and giveaways and more about “how can I make money with you?” (aren’t we an exciting bunch) so make it easy for them to see by having flyers, cards, and deal examples available. Don’t have a property to do an Open House? Borrow one! Ask an Agent or Investor to use their house for the event. You bring exposure to their business, and leads to your own. Maybe those honey bees are on to something, after all. A postcard that reads, “This just sold in 10 days, and we can sell yours too!” or “This house sold for cash and we’re looking for more. Can you sell?” can be helpful. When they call, use it as an opportunity to speak with the caller about what information they were looking for, if they’d be interested in knowing the value of their home, or were thinking of selling. If they’re not motivated to sell now, keep their number or ask for their information to follow up with them at a later date. It’s all about connecting and staying in touch. Just like nature knows the harvest you reap in Spring will hold you through Winter, it’s really no different for your real estate business. Using the selling season to work hard, work smart, and maximize your exposure with thoughtful and effective marketing will bring you healthy shoots of lead flow and prospects throughout the ups, downs, twists and turns the real estate market will bring. What do you think? Do you use any of these techniques? What others do you use to give a power boost to your business during Spring? Great tips Tracy! You would e surprised how many agents won’t let you hold an open house at their listing. I have someone on my team who asked 7 augments before one would agree. That’s surprising. What was the hesitancy Mark? Very good points Tracy! I like how you use the open house for other things besides just selling that particular house. Good use of time and resources! We’ve been staging since the beginning of December for the upcoming Spring by increasing our networking and company presence through the winter months, as well as streamlining processes to ramp up for the Spring influx, so people get use to seeing us and our company name as we are still relatively new. Keep up the good work and I’ve noticed the more outside the box of traditional thinking you are, the more interesting you are to people.